Home Unlabelled THE "JOKE BAG SHOW" WILL SHUTDOWN ABUJA - SAYS COMEDIAN "SHORTCUT".". THE "JOKE BAG SHOW" WILL SHUTDOWN ABUJA - SAYS COMEDIAN "SHORTCUT".". 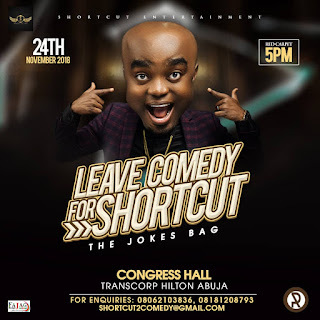 One of Nigeria most anticipated comedy show is set to hold in Abuja, at the prestigious Transcorp Hilton Hotel, as popular comedian "Shortcut", prepares to shutdown Abuja with his comedy show titled, "Leave Comedy for Shortcut; THE JOKE BAG". The comedy event will be held on the 24th of November, with entertainers, fans, high profile personalities and comedians from across Africa to grace the historic comedy show. The convener of this "Joke Bag" event, Onwunaugwu Ndubuisi Joseph, popularly called "Shortcut" is one of the fast rising entertainers in Nigeria. "Shortcut" has made several significant appearance and performance at reputable events with his mind blowing jokes that warms up any event he appears. His funny looks and dramatic display of jokes has secured a spotlight for him in the entertainment industry. However, his exceptional performances at comedy shows, pageantry and musical concerts a cross Nigeria and Africa. 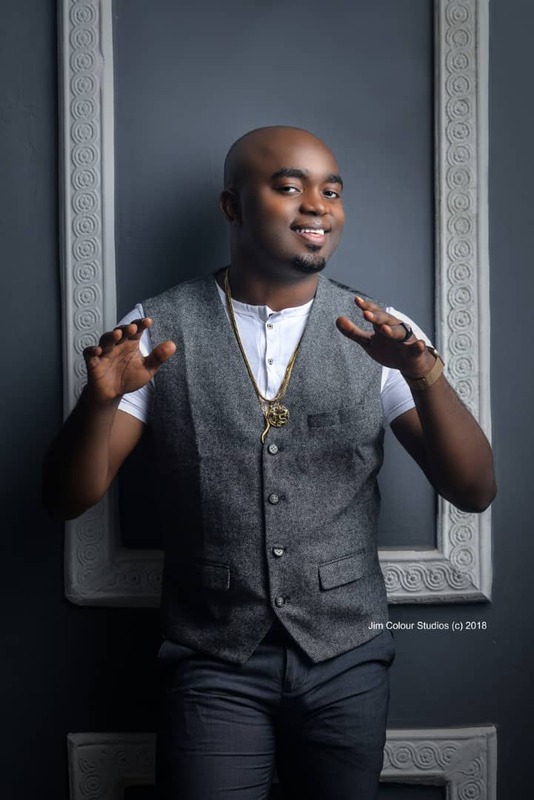 His appearance at events like the Federal Government Events, Night of a Thousand Laughs, AY Live, Miss Ambassador For Peace, Klint Da Drunk and friends, High Profile Weddings and other events has attracted an impressive fan-base, especially those who are lovers of stand-up comedy. The forthcoming comedy event by "Shortcut" has raised several discussions on social media and other online news media. However, fans, entertainers, and comedy lovers awaits the 24th of November to guest the 2018 record breaking comedy show, holding at Congress hall, Transcorp Hilton by 5pm. He is called "Shortcut", because of his accelerated zoom in the vision of entertainment prominence. He also happens to be socially charismatic, accommodating, hospitable and lively. These features has helped him grow unconditionally and steadily.